Choi Bo Na (Lee Si Young) works as an assistant TV director on continuous working hours which make her appearance a total mess. She didn’t date for many years. One day, the company shoots a commercial near the beach. 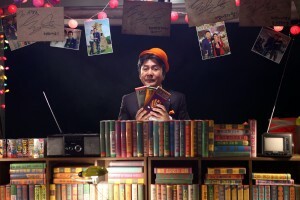 Lee Seung Jae (Oh Jung Se) acts in the commercial but he complains about the concept. Bo Na is not happy with his attitude which make him dislike her not only because of her attitude but also her appearance. Later in the evening, the company has return to Seoul and Bo Na is left behind at the beach. She finds away to get back to Seoul until she sees an attractive stall. She finds that the seller (Park Young Gu) sells all kinds of instructional tape. He persuades her to get a set of ‘How to Use Guys With Secret Tips’. These tapes change her life, both appearance and personality. The film starts off with warning in watching it at my own risk which is quite interesting as I feel I am watching the actual instructional tape. It has a very captivating storyline. The first half is a blend of romance and comedy while the second half gets a little bit sentimental, more to romance. The film is truly an awesome romantic comedy. Yes, there are some cheesy parts such as flirting. Yet, it is not too much cheesiness. These are the good ones that hit the right button to make me laugh so much. The characters have their own unique personality that make me laugh till I love them. 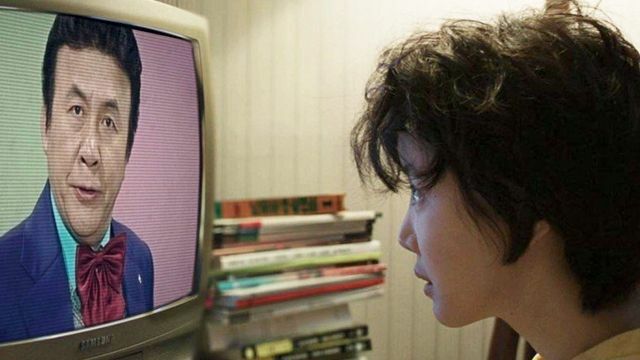 Lee Si Young portrays Bo Na nicely with the doubts followed by courage to get to her own dreams of becoming a director. A pleasant and funny shift from an annoying Bo Na to a bright, pretty, and cheerful Bo Na that guys, including Lee Seung Jae, fall for her. Lee Si Young has a simple yet charming personality that leaves me a very good impression about her. Oh Jung Se fits very well with Lee Seung Jae’s personality which I find him quite cheesy with his flirting but in a good way that make me laugh. Lee Seung Jae finds so many ways in moving from being arrogant to a lovable guy who cares and loves Bo Na so much. Both Lee Si Young and Oh Jung Se made the perfect chemistry of romantic comedy. I was very impressed with how the instructional videos are shown with a combination of CGI, 1950s concept, and Bo Na’s and Seung Jae’s real love life situation. Those are the parts that I laughed at most of it because of the secret tips that are instructed by the seller. There are times when the seller and his comrade shows up where Bo Na is in a tight situation which made me feel like watching the instructional video. It is seeing how Bo Na and myself watch these videos. It draws my attention to the film with great aspects of film editing from CGI to kaleidoscope effect to the appearance of seller from the video to real life situation/video. The film has a wonderful balance of retro and modern concepts in cinematography. How to Use Guys With Secret Tips has plenty of scenarios that can make you laugh. Some may be cheesy but in a good way. Some which related to your life that may be true or not. Once you start watching this film, you will feel as if you are actually watching the instructional videos of how to use guys with secret tips. The cinematography of 1950s style video and Bo Na’s real life situation is well-executed. Lee Si Young, Oh Jung Se, and Park Young Gu have great personality and character that will make you laugh and love them. It is sweet and funny romantic comedy that you should watch. *You can get the DVD from Third Window Film (Amazon UK, Zavvi, and The Hut). Also, there will be a screening, organized by Terracotta Distribution, for this film at the Jetlag Bar (125 Cleveland Street, London) on the 17 March, 6.30 pm.